Our vision is to provide our clients with an outstanding immigration experience that leverages smart technology, delivers simple and clear solutions and always provides exceptional results. FGI’s mission is to use immigration as a strategic tool to help foreign nationals achieve their personal and professional dreams, enable corporations to be a catalyst of change in the world and support governments in their quest to spur talent, innovation and economic revitalization. 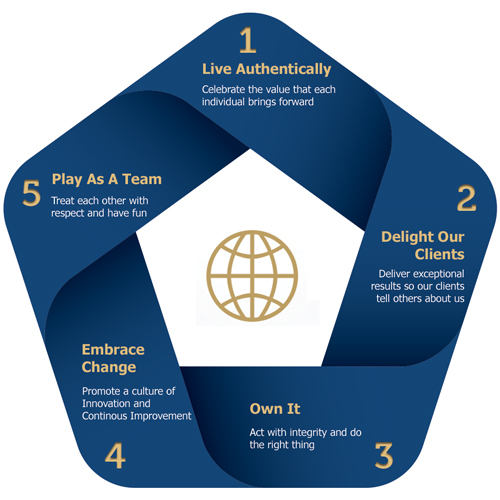 FGI relentlessly pursues the Fakhoury Five Core Values. These values guide our daily interactions with clients and staff and empower the team to treat each immigration challenge with a creative and open mind. We are certain that these values have been a key driver of our outstanding success.